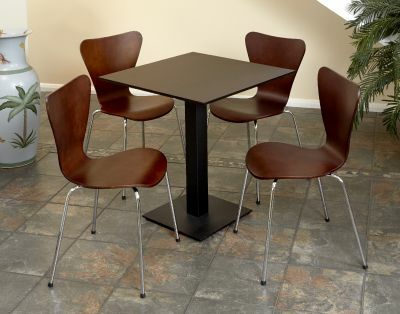 Set of four "Keeler " chairs with a flat square base in a powder coated Black finish. Square Maple veneer MDF top with a beveled edge and coated i9n a PU lacquer. Available from stock for a 2 -3 day lead time. 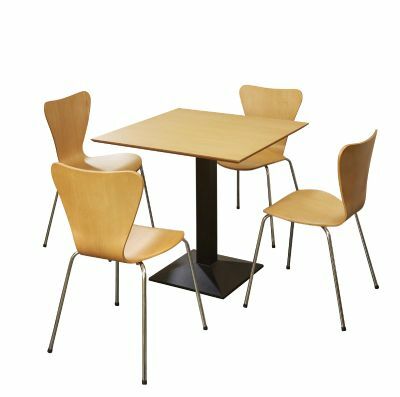 Chairs and table top are available in a choice of two matching or contrasting finishes. Designed for indoor commercial applications.